If you need something welded, ask us. but the tray / box made out of sheet metal has the option to be welded. You can order all these metal forms and shapes online by using our 4 step ordering process, now even easier than ever before. 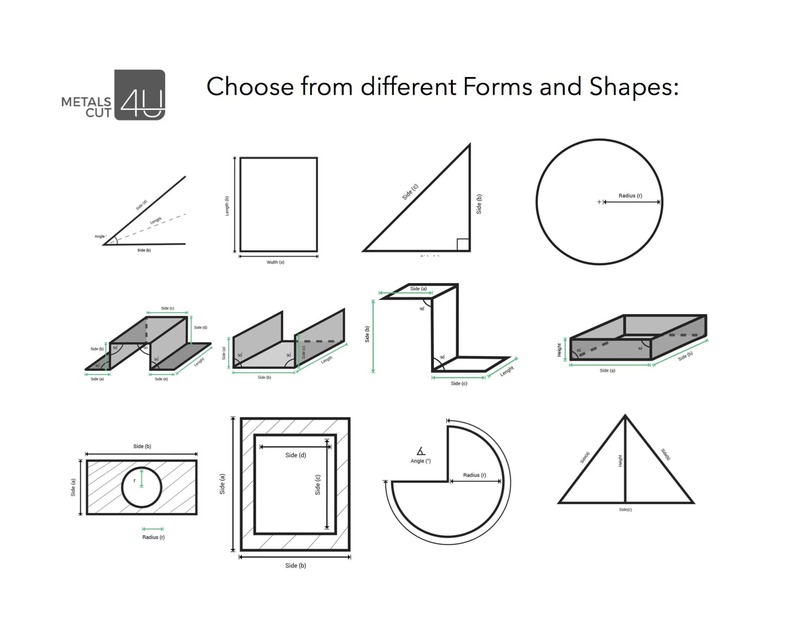 the surface and the thickness your selection of 14 different shapes and forms is ready. All you have to do now is to enter the measurements you really need. Say, you do not want a standard 90 degree angle you want 45 or 145 degrees! Absolutely no problem for us.